Virtually everyone in the developed world has at least some knowledge of the works of William Shakespeare. Of all the playwrights in history, Shakespeare stands out as the leading author and one of the most influential artists of any type. Works such as Hamlet, Macbeth, Julius Caesar and Taming of the Shrew are required for high school students. Everyone knows about how a poet/actor from Stratford-upon-Avon wrote the astounding works that continue to influence today’s literary learning – or do we? Author Mark Kendall Anderson has a different opinion. 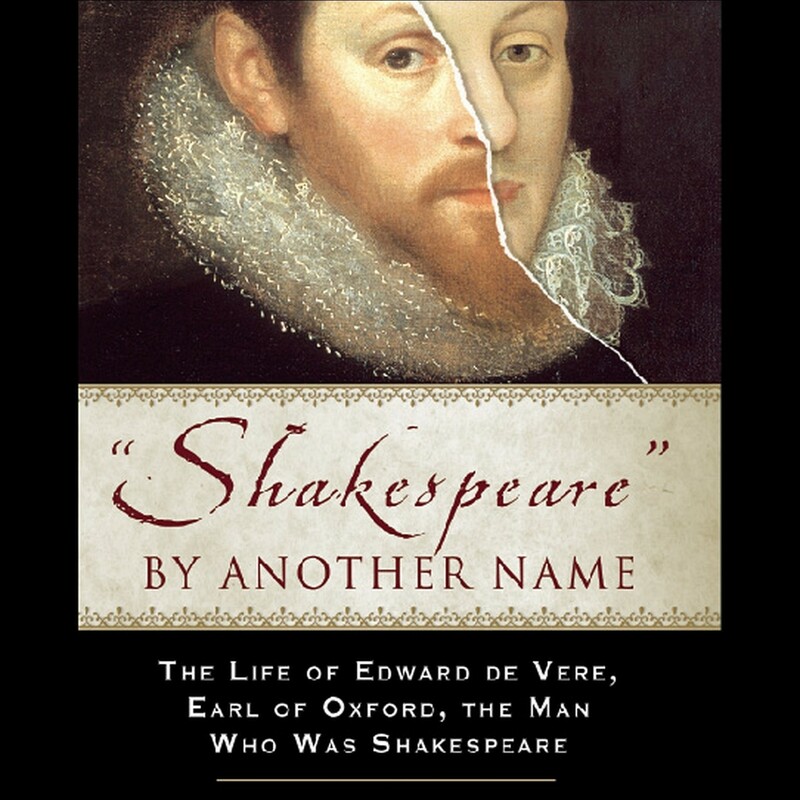 In his book Shakespeare by Another Name, Anderson sets down the biography of one Earl of Oxford, Edward de Vere. As stated in the introduction, Anderson writes this biography under the assumption that de Vere was an extremely talented author of poems and plays, and that he wrote under the pseudonym of William Shakespeare. This book stood out for me during my weekly library browsing because I am endlessly fascinated by both biographies and “history’s mysteries.” Like countless other people, I’m also inspired and fascinated by this wordsmith’s singular talents. This particular book catered to both of these interests, putting a new spin on our understanding of Shakespeare’s plays and offering some intriguing theories as to the authorship of those works. There have been many theories about who Shakespeare really was, specifically hinging on the belief that a lowly actor couldn’t possibly have the breadth of experience that Shakespeare demonstrates in his writing. Throughout Shakespeare by Another Name, Mark Kendall Anderson constantly draws parallels between the life of Edward de Vere and various Shakespeare plays, pointing out the basis for each fictional character in the Earl’s life. I’m not intimately familiar with all the theories on Shakespearean authorship, so I’m in no position to compare this particular theory with any of the others (but the book Shakespeare In Fact covers the controversy wonderfully). It is, however, a completely engrossing read, and one that moves quite quickly. Though I tackled it during the work week, it still only took me three days to read it all. Sit down with it on a lazy weekend, and you’re likely to finish by sundown. As mentioned, the writing moves along very nicely and the author is quite persuasive in his ideas. He backs up each and every assertion about Edward de Vere with historic context, proof in the form of writings of the time, and/or an excerpt from Shakespearean writing. The biggest drawback I can see is that any reader without a very thorough knowledge of Shakespeare will probably get lost very easily in many parts of the book. Anderson references all sorts of characters, but does not always say which play they belong to. On the same note, he references scenes or quotes from a play without any further background information and expects the reader to keep pace. In short, the entire book is written on the assumption that you have read at least Shakespeare’s “top ten most popular” plays, if not studied every last one in-depth. Who really wrote Shakespeare? I do not know, nor can anyone know short of inventing a time machine. Regardless, this is a very interesting biography filled with thought-provoking Shakespeare references and definitely worth the read. You just might come out of it with a different perspective on how history actually happens versus the way it’s recorded for future generations.